Long last after Apple had launched the Apple Game Center, the Google strategists seemed to have realised the need to have a gaming hub on the Android. Last month Google had hired Noah Falstein who is a gaming industry veteran. And the MyGlass App in the newly launched Google Glass had led to speculations that the search giant is indeed venturing into gaming hub business. And now it seems the speculations were right. Android Police the premier Android community watchdog in this matters got hold of a APK for the updated Play Services. Yes this is a part of the brand new gaming hub which will become center stage on Android devices in the coming months. The announcement will come at the Google I/O which will begin on the 15th May, 2013. The new centralised gaming hub called the Google Play Games will handle all the play related information like game invites, leaderboards and push notifications. Apple fully knew the necessity of a gaming hub and had launched the Apple’s Game Center. It made the iOS users easy to track friends and foes achievements and global leaderboards. This may be the Google's reply to the Apple Game Centre. From the leak, it can be noted that Play Games will be used to push game invites, a system that will leverage the company’s social network, Google+. There are hints suggesting that in-game chat, achievements, and leaderboards will be coming as well. In addition, users will be able to find opponents for turn-based games more easily. 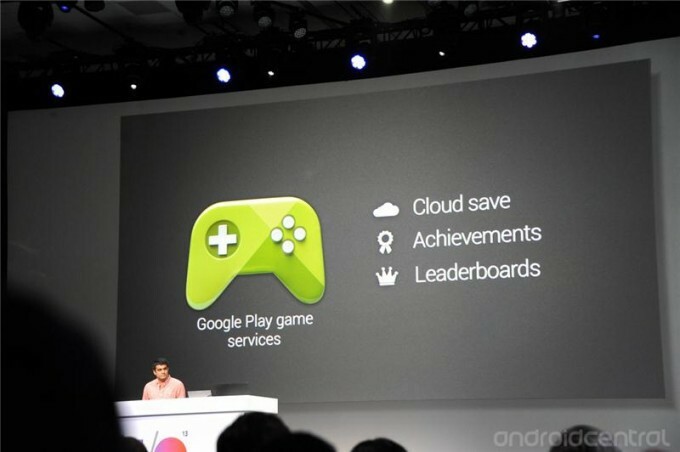 Google Play Games will also save games to the cloud to allow syncing between devices and new installs. It also looks like real-time and turn-based multiplayer features will somehow be baked into Google Play Games. Unfortunately right now, the app only lets users sign-in with none of the above said functionality open to testing or use. You can read the comprehensive coverage by Android Police here. The Google is going ahead with announcing goodies meanwhile. It has announced the multi phone car racing game for Chrome and unlimited music download for US users.